This Black Garden Buddha statue depicts the enlightened Buddha sitting in meditation. 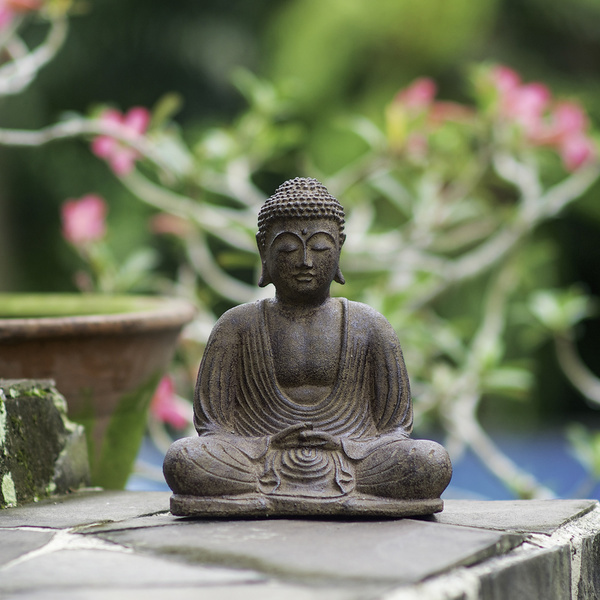 Made from volcanic ash, this Buddha sculpture will look magnificent in your garden or simply in a special place in your home. Brown, Volcanic sand, concrete. Story Behind the Art: Nyoman Mahayani grew up following in his father footsteps to become a renowned stone carver. He now helps a good portion of his village near Bangli on the island of Bali. He and his workers appreciate being able to earn a good and stable salary, as well as being able to work locally without having to travel long distances for work in the city. His work also allows Nyoman to invest more time and energy in his family of three children.